You might have seen claims around the internet today that Chadwick Boseman would be getting a slightly updated new costume in the Black Panther solo film. However, the images floating around are not from a Marvel Movie—they’re the subtle, but fun, work of a toy customizer. News of a “new Black Panther suit” has spent the past few hours popping up on Twitter. This is thanks to the breathless bevy of entertainment news accounts passing around the same images of a highly detailed version of the Civil War Black Panther suit, claiming they were new press images of an updated design for the upcoming movie. 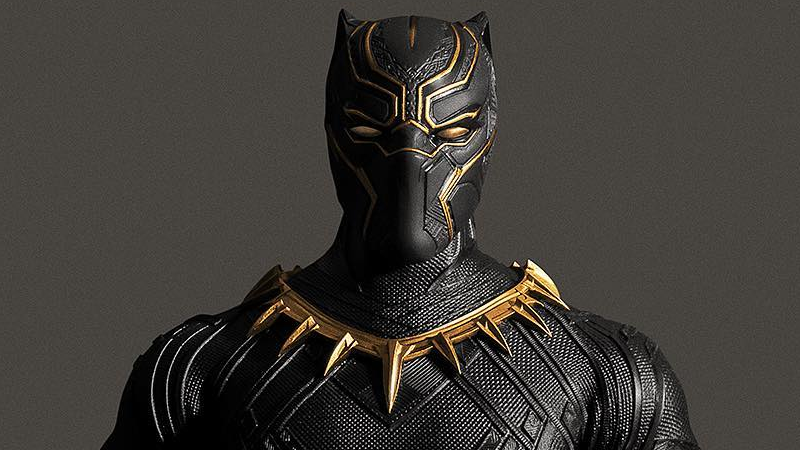 It’s pretty much the same suit, except this time, the metallic pieces are rendered in gold, evoking classic Black Panther designs from the comics. Yes, it looks pretty damn cool—it’d be a great update to the current movie suit. But sadly, these are not images from the set of Black Panther. They’re the work of graphic designer John Aslarona, who shared the images on his Instagram account last night. That’s right—these are actually photos of a subtle repaint of Hot Toys’ own 1/6 scale Civil War Black Panther figure, just with the silver parts done over in a very effective gold. Maybe it’s a testament to the quality of Hot Toys that these pictures from Aslarona have managed to get posted around the web like they’re an actual official movie suit, but also it serves as a good reminder: don’t trust everything you see online at first glance. Black Panther—presumably with the same suit we’ve seen in Civil War already—is due to hit theaters in February 2018.